Creating a successful asset allocation for your investment portfolio is partially based on carefully choosing good investments, but even more importantly it’s based on you personally, and your personal preferences. Your asset allocation should be built and designed to meet your personal needs and preferences, like your risk tolerance, time frame, personal financial situation, and your goals. 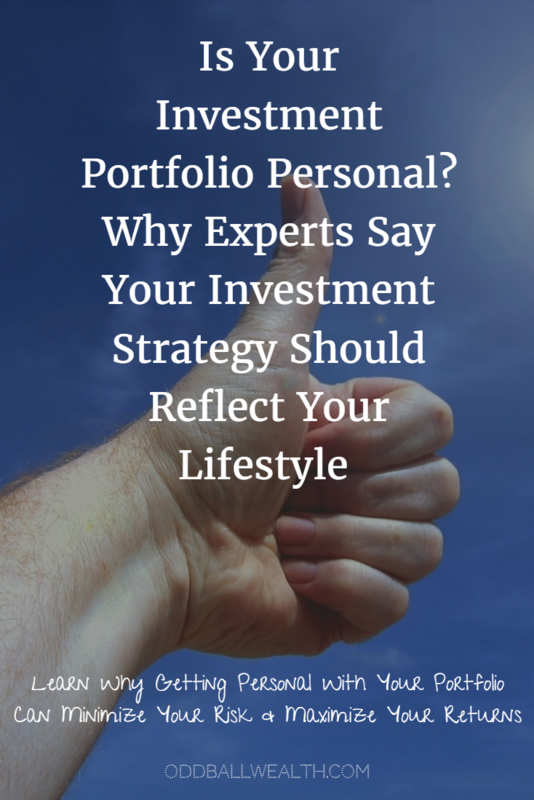 In this article and the articles that follow, I’ll explain how to determine and build a successful asset allocation based on your personal needs and traits. What is asset allocation? Simply put, it can be achieved by not putting all your eggs in one basket. More technically, asset allocation is when you minimize your risk by dividing your investments among different types of asset classes while maximizing returns. Your investment portfolio’s asset allocation should be unique to your personal needs and goals. To help you choose and decide what investments to place in your portfolio and how much of each investment to hold efficiently, while minimizing risk and maximizing returns, there’s an important theory that can help us, called the efficient market theory, which can be abbreviated as EMT. EMT is an investment theory, which explains that beating the market isn’t possible since all relevant information is already reflected and shown in the current share prices. Through this theory, it can also be determined that predicting the market is impossible and cannot be accurately forecasted or predicted. Giving into the all the hype the media rants off as “hot investments” can cause you to make poor investment decisions, such as buying into a bad investment, or worst, cause you to panic and sell an investment during the worst time possible when you should have stayed put. The efficient market theory became popular in the early 1900’s, when an investor and stock market researcher by the name of Alfred Cowles discovered that the stock market was unpredictable. This became clear to Cowles after watching the stock market peak in August of 1929, only to then tank horrifically in the summer of 1932, which eventually lead to The Great Depression. Riding a bull market at the start of 1929, Cowles wondered why financial analyst and experts didn’t predict the stock market crash that happened just a few years later, in fact most of the market forecasts and predictions had positive outlooks for the market. After doing some research it became clear to Cowles that the so-called financial “experts” were unable to predict the outcome of the market, nobody could. Trying to understand why, Cowles decided to dig deep and looked over 7,500 stock market forecasts and recommendations made by financial services between the years of 1903 and 1929. He then compared the recommendations and market forecasts with the actual stock market data and results, to see how many of the forecasts and predictions were actually accurate and true. The research and evidence didn’t lie, he published his results in an article he wrote, titled “Can Stock Market Forecasters Forecast?” and gave an overview explaining precisely just how inaccurate so-called “expert” predictions can be when trying to forecast the market. If you ever had any experience working with a financial advisor or personal wealth manager, then you probably know how confident they sound when they want you to invest in one of their “professionally managed funds” or try selling you a hot stock, because it’s a “sure winner” according to their analyst. Many of these so-called “professionals” believe they’re able to forecast the market and find winning stocks, even though there’s clear evidence showing that it’s impossible to predict the market. Mutual fund managers like to establish themselves as professional investors and stock traders who are able to time the market perfectly, for when to buy and sell stocks. Professionally managed mutual funds tend to charge expensive fees at their investors expense and have been proven to underperform index funds 80 percent of the time. Fast forward a couple years to the 1960’s, when a man named Eugene F. Fama, a professor at the University of Chicago began reviewing the prices of stocks and increase quantity of data associated to stocks prices. He too, was able to conclude that it is very difficult, if not impossible, to forecast the stock market and predict which stocks would be winners. Not long after that, in 1973, Burton Malkiel a Princeton professor, also concluded the stock market was unpredictable after doing his own research and published the extremely popular book titled, Random Walk Down Wall Street. The book had become a best seller and an investment classic, which has been since updated and revised editions of the book are still bought and published today on a regular basis. Random Walk Down Wall Street is a must read, and deserves a spot on every good investors bookshelf! Just about all academics and anyone who has ever study the stock market would agree that it is pretty efficient. It can also be agreed upon that because stocks and bonds alike have very efficient prices, that there are very few, if any, professionally managed funds or investors that can outperform an index fund which isn’t managed. Index funds also have extremely low expenses associated with them, and little or no transaction costs, which is why a community of investing enthusiasts called Bogleheads worship index funds for investment portfolios. The name “Boglehead” is derived from the love of Jack Bogle and the low-cost index funds he created. They’re a community made up of more than fifty-thousands like-minded investors who help one-another and share advice with other members though their own online Bogleheads forum. The Bogleheads’ community that interacts with one-another on their forum, also have their own wiki page and two very popular investment books titled The Bogleheads’ Guide to Investing and The Bogleheads’ Guide to Retirement Planning. Both are excellent books that every investor should read to become a more sophisticated and intelligent investor. Both books cover asset allocation for successful investing in detail, they teach you about the history of investing and proven investment strategies.